drycliftdays: Waive that Charge or it's 'wave goodbye'! There is growing astonishment at City of Greater Geelong (CoGG) councillors' unanimous decision to compel residents of Drysdale's Central Road area to pay thousands of dollars each for a developer's drain. The councillors' decision was reinforced by the Victorian Civil and Administrative Appeal Tribunal (VCAT), to which residents appealed - and lost. The residents have nowhere else to go. VCAT's decsion can be appealed in the Supreme Court, but this would be an extremely expensive undertaking - specially for this group of people, which includes many retirees on fixed incomes. Many of the residents now fear that they will only be able to pay their 'contribution' to the cost of the drain by selling their homes and leaving the area. Why pay for someone else's drain? 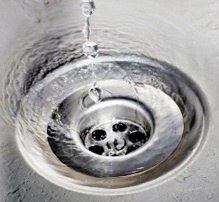 The drain will service a retirement village planned by Melbourne-based property developer Pinnacle Holdings, yet the council wants local households to contribute - via the 'Special Charge' scheme - between $2,000 and $250,000 each towards the cost. The residents have argued that since the drain will enable Pinnacle Holdings to build and profit from its retirement village, Pinnacle Holdings should pay for it. The council has responded that while the drain's primary purpose is to service the proposed retirement village, its presence will enable nearby residents to sub-divide and sell their properties at a profit - a 'special benefit' as the council calls it. The Advertiser article also said that Mr. Macnamara had said that he was 'inclined to think' that that the benefits of the proposed drain wasn't woth what the residents are being charged. In the Advertiser's online forum associated with its story on 2 March, most commentators expressed astonishment that an elected council could treat its citizens this way.